TWO bereaved families have spoken about the impact the child fluid death inquiry has had on their lives and say that the final report must leave a lasting legacy in hospitals here. Speaking for the first time since the public hearings for the Hyponatraemia Inquiry finished earlier this month, the parents of Claire Roberts and Raychel Ferguson say their fight for justice won’t end with the publication of the inquiry report. Both families say that as the employer of the doctors that treated their children, they expect action to be taken by the Department of Health and health trusts here following publication early next year. They have also called for further police investigations. A spokesperson for the department said the Health Minister would consider what action to take after he received the report, while the Public Prosecution Service said it would review the findings upon publication. The Hyponatraemia Inquiry was announced in November 2004 by the then Minister for Health in Northern Ireland, Angela Smith. It is examining the deaths of three children – Adam Strain (4), Claire Roberts (9) and Raychel Ferguson (9). It is also investigating events following the death of 17 month old Lucy Crawford and specific issues arising from the treatment of 15-year-old Conor Mitchell. The inquiry is chaired by Mr Justice John’ O’Hara. Despite being announced almost a decade ago, the final report will only be published in January 2014. 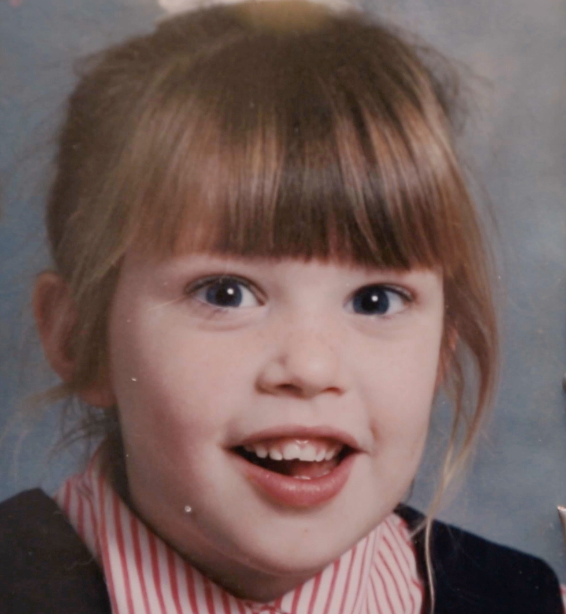 Speaking to The Detail, the parents of nine-year-old Raychel Ferguson who died after an appendix operation in Altnagelvin Hospital in June 2001, say their fight for justice has prevented them from grieving for their daughter. Meanwhile the family of Claire Roberts, who died 17 years ago at the Royal Victoria Hospital in 1996 when she was also aged nine, say that no family should ever have to experience what they have. The families’ comments come as the Public Prosecution Service (PPS) confirmed to The Detail that it would give “careful consideration” to the findings of Mr O’Hara’s report when it is published early next year. As is standard with a public inquiry, an undertaking given by the PPS means that any evidence given by witnesses during the inquiry cannot be used against them in any potential prosecutions; however this does not prevent the police independently gathering sufficient information to meet the test for prosecution. A number of the families’ legal teams have already confirmed that they will be making fresh referrals to the General Medical Council (GMC) about individual doctors after the report is published. In England, following the Mid Staffordshire hospital scandal, the UK government announced plans that could see doctors and nurses found guilty of “wilful neglect” of patients facing potential jail. A public inquiry found that hundreds of hospital patients died needlessly as a result of substandard care and staff failings at two hospitals in Mid Staffordshire between January 2005 and March 2009. In September this year the GMC confirmed that of the 44 doctors it investigated in connection with Mid Staffordshire hospital, 43 cases had been closed. Only one doctor was erased from the register, while in the remaining cases either no further action was taken or they were given warnings and “accepted undertakings”. Following the inquiry, the UK government also announced plans for a new statutory “duty of candour” for hospital staff to tell patients or relatives if treatment has harmed or killed someone. The Hyponatraemia Inquiry was suspended in 2005 in order to allow the PSNI to undertake investigations. It resumed its work in 2008 after the PPS directed that there would be no prosecutions in any of the cases being examined by the inquiry. However, Claire Roberts’ father Alan said significant new evidence has emerged during the inquiry. He said: “For us this is really just the start. We will be pushing to go to the Attorney General and will go to the coroner and push for a fresh inquest into Claire’s death. There are several bodies which we believe will have to look at Mr O’Hara’s report, the PPS will be one of them. In August this year during the public hearings of the Hyponatraemia Inquiry, legal representatives on behalf of the former Altnagelvin Trust (now the Western Trust), admitted liability and apologised “unreservedly” to Raychel Ferguson’s family. Almost two months later lawyers for the Belfast Trust also issued a “full and frank admission of liability” on behalf of the trust in relation to the death of Claire Roberts and Adam Strain. Speaking to The Detail, Raychel’s parents say they are still angry that they had to wait so long for this acknowledgement. Marie Ferguson said: “What I don’t understand is why they changed their mind? What has changed from the day Raychel died and then all of a sudden they say ‘we now admit liability’? Why did they put us through ten years of waiting? Raychel’s father Ray says he hopes the inquiry report will encourage parents not to be afraid to question what they are told by hospital staff. Closing submissions from all the interested parties involved in the inquiry must be received by the end of this week, before the chairman publishes his report in January 2014. In the meantime, Marie Ferguson said she is still coming to terms with the impact the inquiry has had on her family. She said: “My boys have been suffering since Raychel died. They actually lost me as a mother. They were only young when Raychel died and I know that they needed me more than anything then. Mrs Ferguson says she is uncertain about what the future holds.